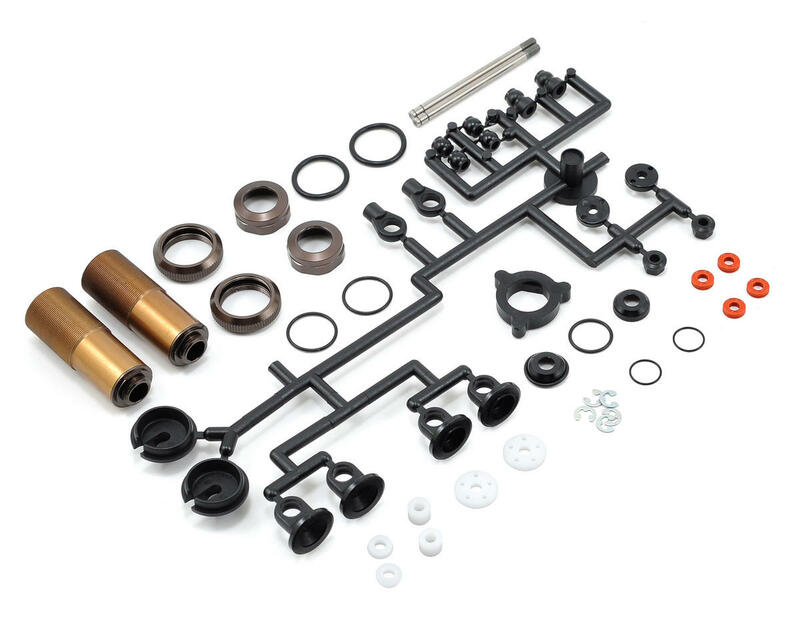 This is the Kyosho 38mm Velvet Coated Triple Cap Threaded Big Bore Shock Set, and is intended for use with the Kyosho RB5 and ZX-5 buggies in the rear position, as well as the RT5, SC and DB in the front location. These velvet coated shocks offer increased shock consistency, and improved overall performance. 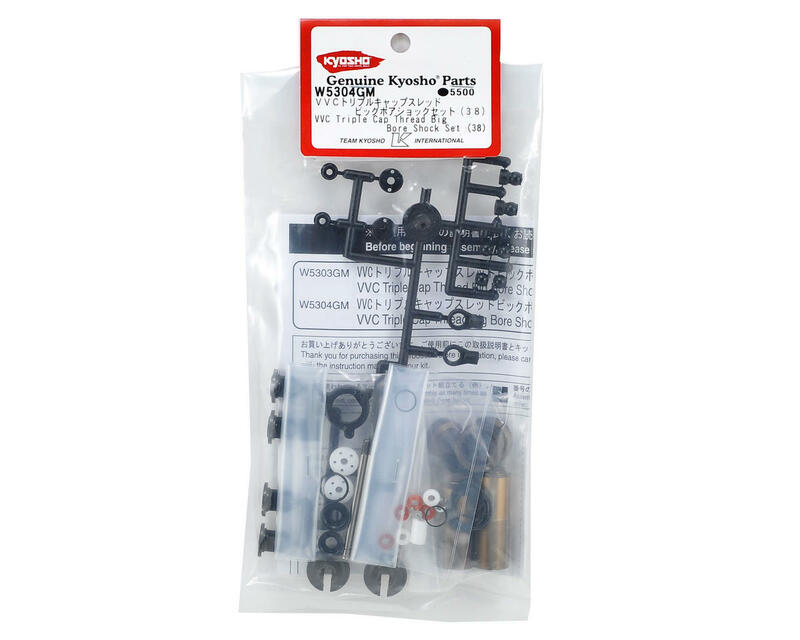 This set includes all the components needed to build two shocks. NOTE: Shock springs not included. Must be used with KYOXGS Big Bore shock springs.